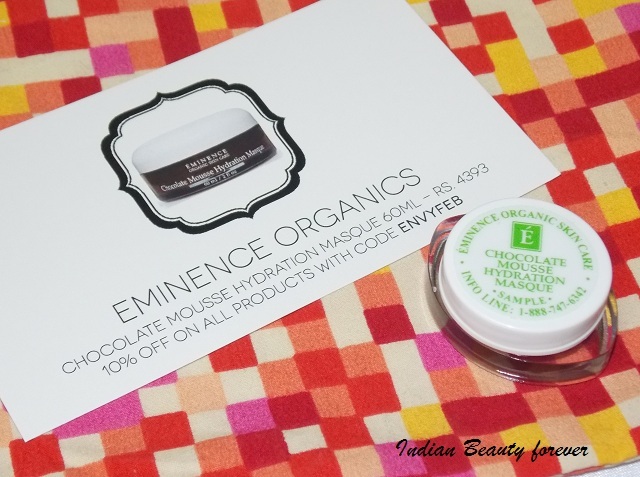 I am with my February edition of My Envy Box and this month being the month of love, My Envy box has not failed to impress us. This time I got this orange box with that now I have got two one white and two orange ones. these boxing can be really good and comes handy while gifting. What say? 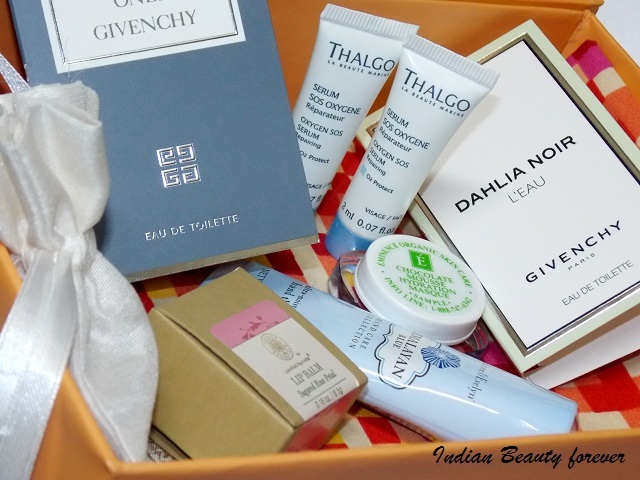 Before we move on let me tell to the new readers or to those who are new to this beauty box subscriptions services in India. 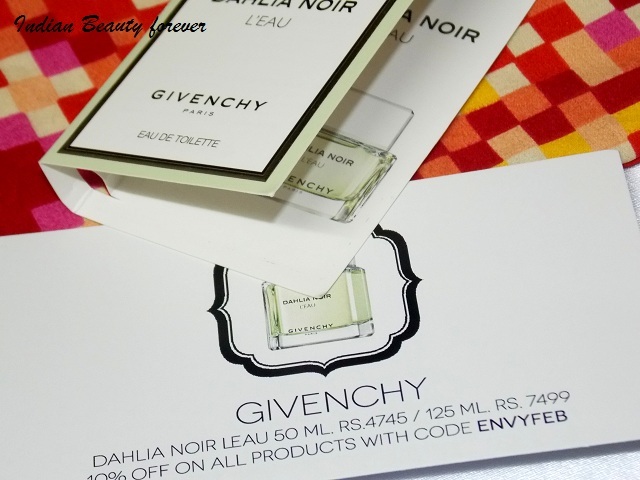 My Envy Box is a luxury beauty box service where you pay 850 rupees/month for 5 luxury brand beauty samples that can be used at least 5 times or even more than that I have got products that were quite big as in quantity if compared with their full sized products. I have got quite exciting products this time. 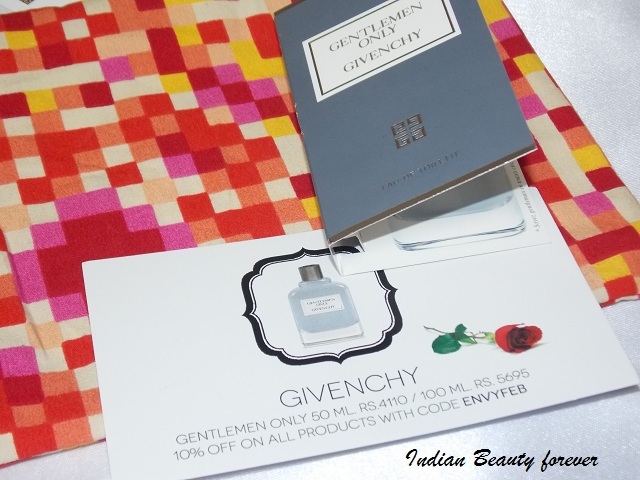 The products were inside a colorful pouch that added more charm and luxury to the entire box along with the products. Here are the products that I have got. 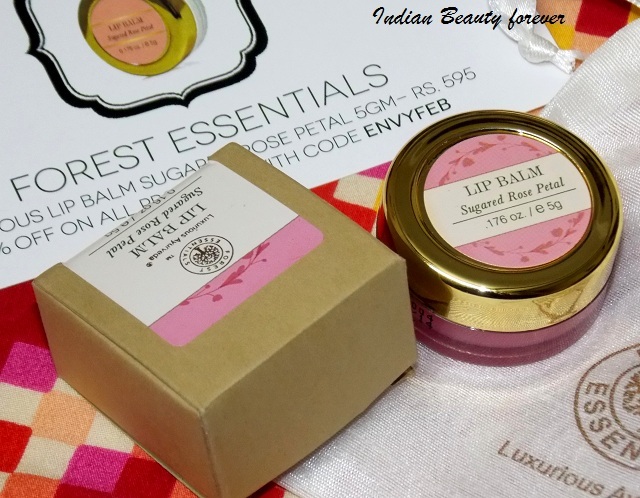 The beautiful tiny jar with mesmerizing packaging contains 5 g of lip balm that is the same that you get in the flip top packaging costing 595 rupees. It’s a full sized product. The sample came in a small creamy pouch enclosed in a brown paper box. Very thoughtful of them to incorporate a lip balm or a lip product this time. It's winters and lips tend to get dry soon. It’s a tiny sample spray bottle that can be used once or twice at a max. It’s of no use to me, so may be my brother can use it! 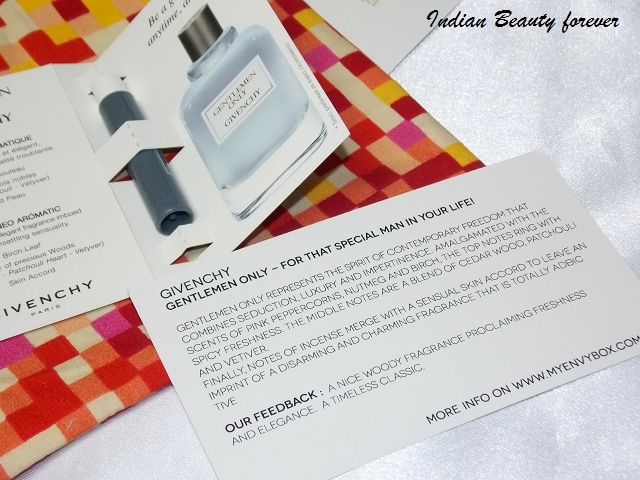 It’s a fresh woody fragrance, if you want to know, it costs 4110 rupees for 50 ml and 100ml for 5695. It’s a floral citrusy fragrance for women. I like citrusy smell and have already used it. It is divine! 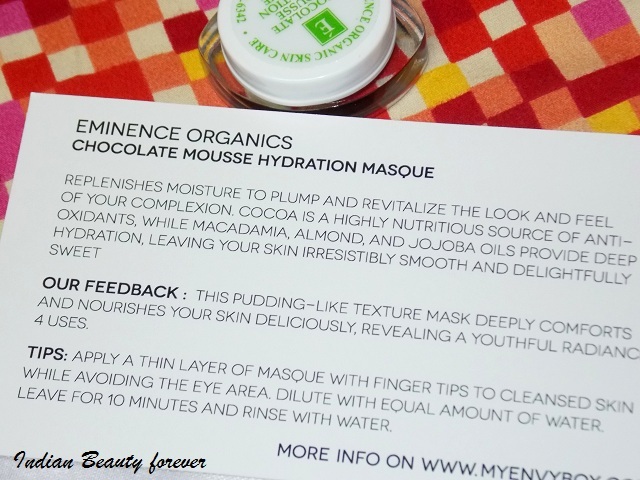 It’s a cute tiny jar filled with chocolate mask claims to hydrate your skin. 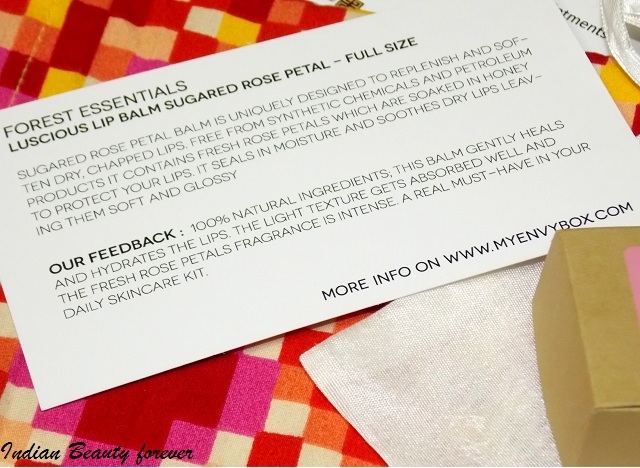 The sample contains decent enough quantity to use it may be 3 times as you need to apply only a thin layer. Bigger 60 ml pack costs 4393 rupees. 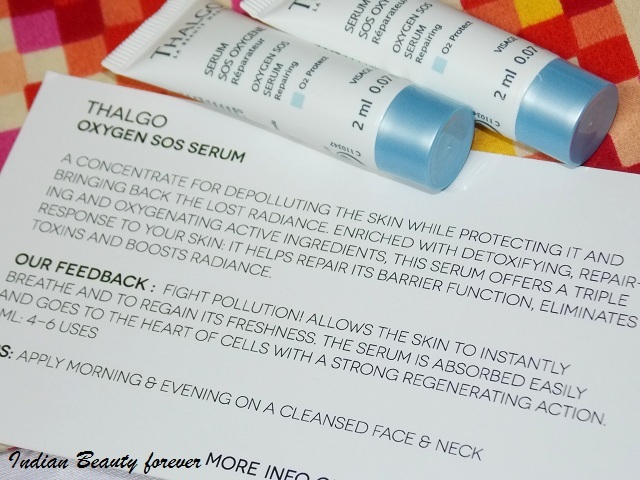 This serum claims to depollute the skin while bringing back the radiance. It is enriched with detoxifying, repairing ingredients. 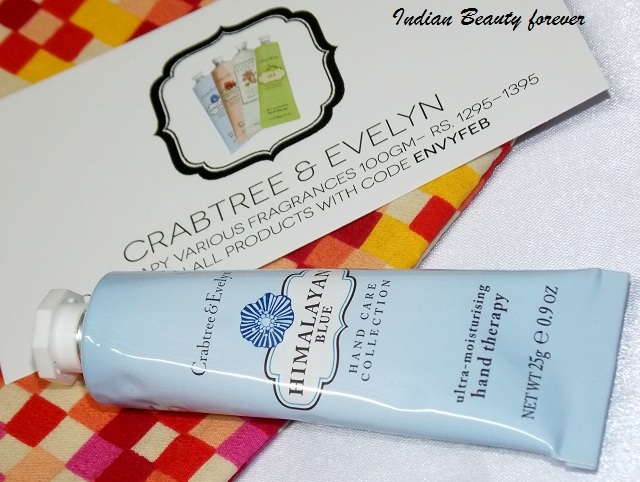 I got this Crabtree and Evelyn hand cream in the variant Himalayan blue. Its available in three other variants. 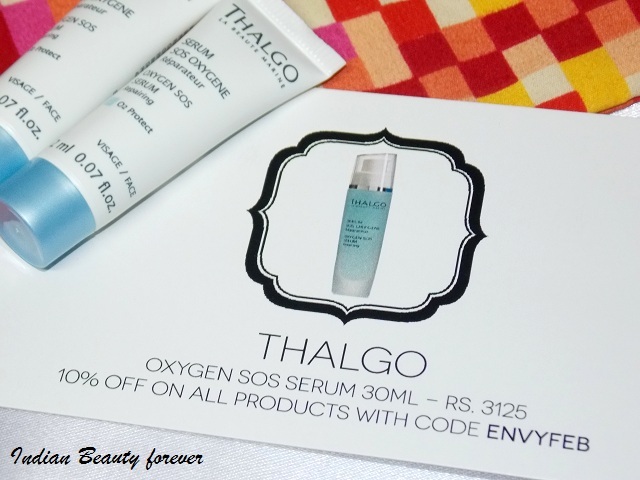 The full sized tube consists of 100g and costs rupees 1295. Considering that price, 25g of simple tube is really good for a sample. Its one fourth the quantity of the full sized product. 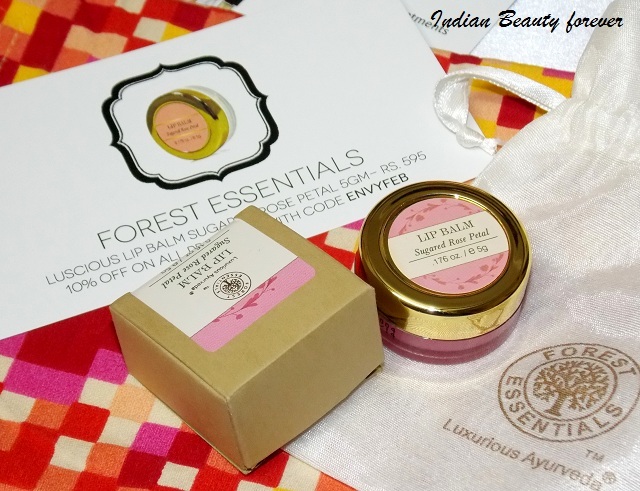 To sum up, this month they have incorporated a full sized product, a decently sized sample of crabtree and Evelyn hand therapy along with other samples. 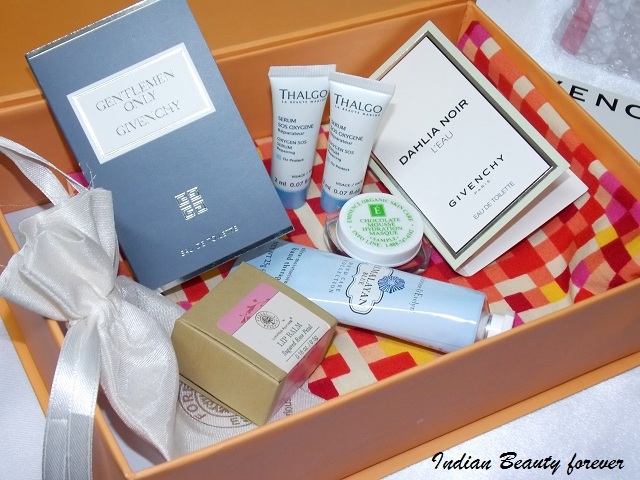 All this have made this month’s box a delight and indeed a pleasant surprise. Every product can be used and its a value for money. 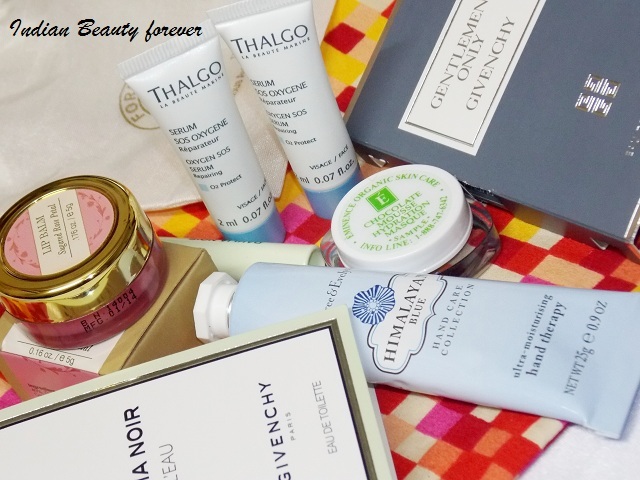 The samples are decently sized which will allow you to test the product fully before you invest in the full sized products, considering they are luxury brands and the full sized packs are quite expensive. 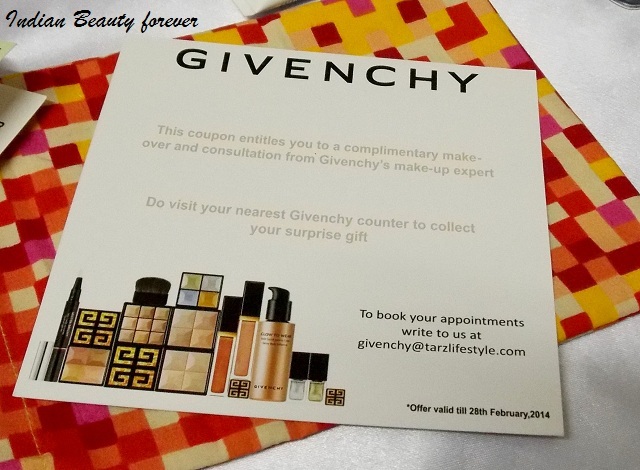 Other than that there was a Givenchy voucher that can get you a free makeover by the makeup experts, at your nearest Givenchy Store. I have got three boxes so far and I must say, they have improved their services. Every box is better than the previous. 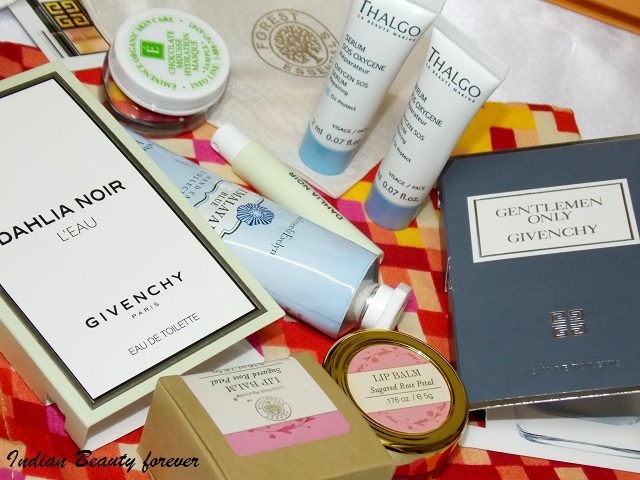 I hope they continue like the same as in the form of My envy box, we have got a worth trying luxury beauty sample box service. On that note, surprises are always welcome and when they are pleasant you are both elated and excited. Enjoy your day with your loved ones! !